We are back in the swing of school in these parts, but that doesn't mean we aren't still working out some of the kinks in our schedule. 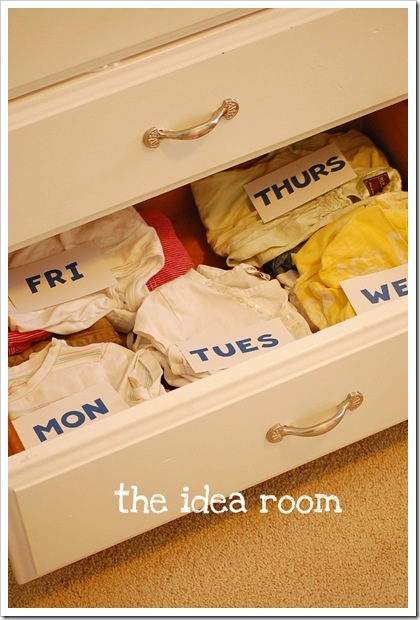 There are a couple of ideas that I hav seen online that we might be trying this weekend. First is from Amy of The Idea Room. Outfits are all picked out before the week starts and labeled in a drawer. No more time waisted on finding, deciding, or fighting about what to wear in the morning. And I think we might try the same idea for snacks and lunches too (if I can find room in the fridge!) 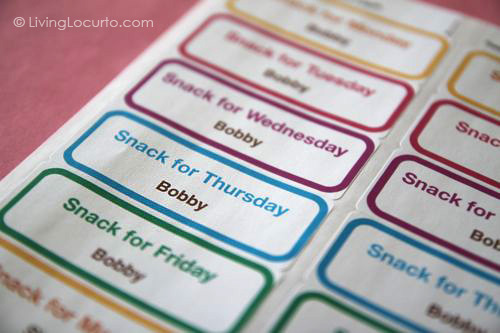 and these labels from Living Locurto will come in handy. And since I probably WON'T be able to find room in the fridge for 13 lunches and 10 snacks, there is always a backup plan. 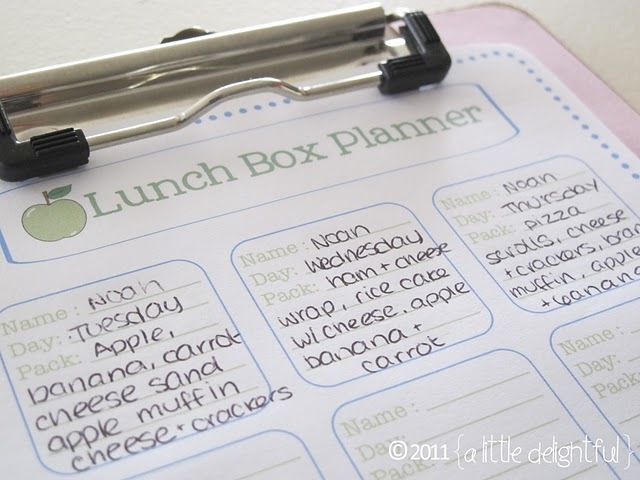 A Little Delightful has a free printable lunch planner. That way lunch is at least planned out and approved and the kids will know exactly what to put in their lunchbox without forgetting something like the carrots or sandwich. Hopefully one of these ideas will bring you a little bit more peace in the mornings. I wish I had been as creative as you when my child was in school...he is an adult now, and probably feels "artistry deprived".....smiles. Thanks so much for featuring my planner!